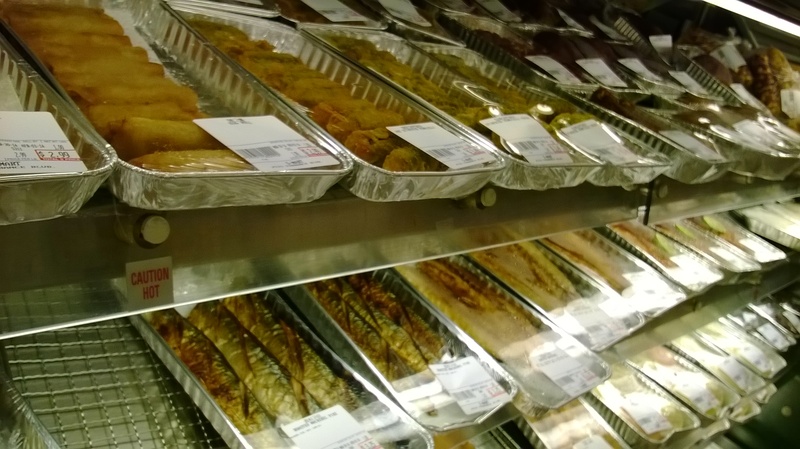 For the past few months, right after Sunday service, I have taken up the ritual of visiting various of my favorite markets to do some leisure food shopping and sample tasting. I find these particular times to be immensely relaxing and utterly enjoyable because, unlike food shopping on the weekdays, I don’t feel the pressure nor the time restraint to rush, to get back to work, or to get back before my son comes home from school, or to do more housework and cook. Given the wonderfully sunny weather of Southern California, most of the past Sundays had been so bright, warm and cheerful. Previously, my ritual usually began at Whole Foods. More often than not, there would be delicious samples such as pieces of sushi rolls, delectable cheeses, dips and crackers, and sometimes even chocolates and cookies. 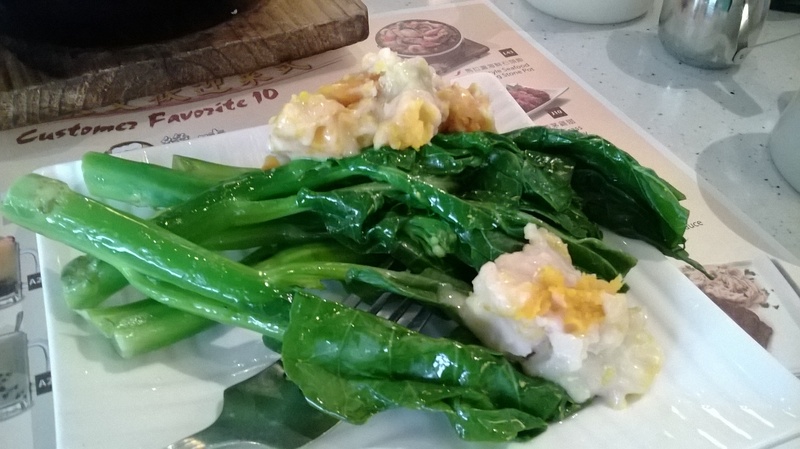 Knowing that all the ingredients were natural and relatively healthy added to the overall experience. Next would probably be Trader Joe’s for the excellent coffee, then Sprouts, then a Korean Market, sometimes maybe a pastry shop, before heading home happy and satisfied. 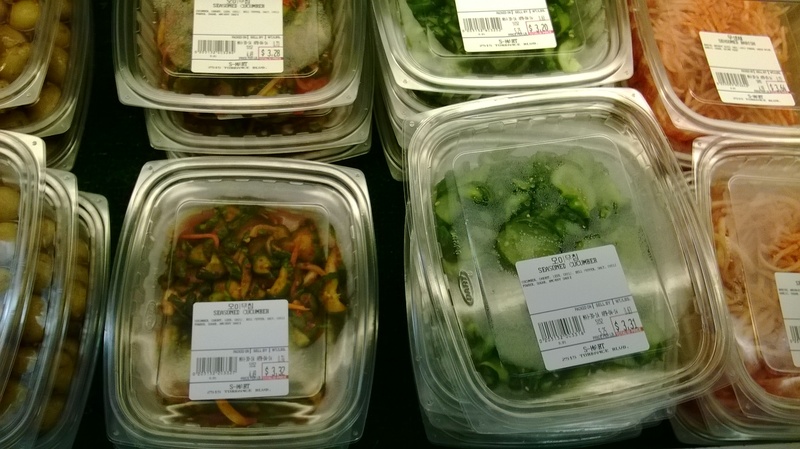 On this particular Sunday morning, however, I was really craving for some Korean fast food such as Ddeokbokki (Spicy rice cake), and Gimbap (rice and various ingredients rolled up in dried seaweed) , so I decided to visit one of the Korean market in my area named S-Mart, where there is a good selection of these types of prepared foods. Being that it was around 11:10am or so, most of the items were fresh and still hot. 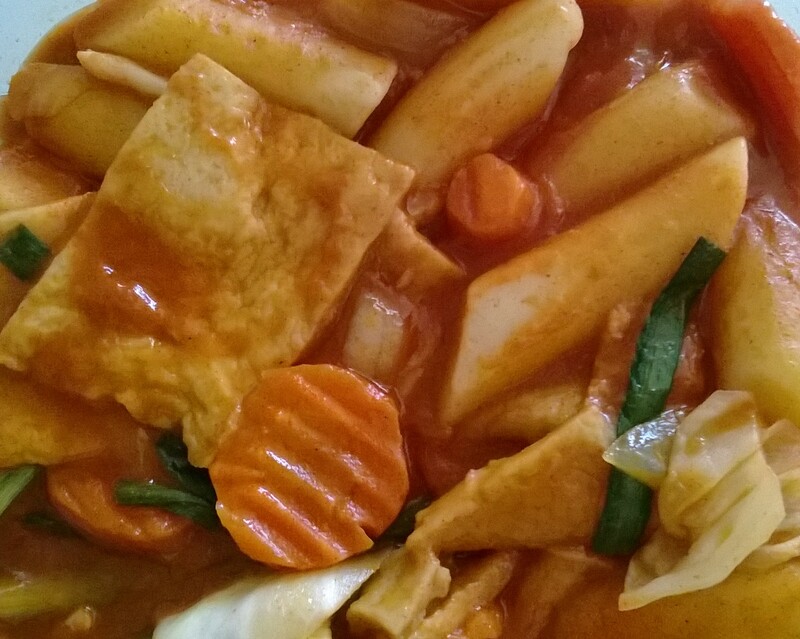 The Spicy rice cake was selling for $1.49 a box today, sometimes they are only $1 each, so I was not sure why the price was higher. I know that at times, they sell for around $3.5, but those have an boiled egg inside. The Gimbap came with either fish cake, beef, and sometimes with tempura. 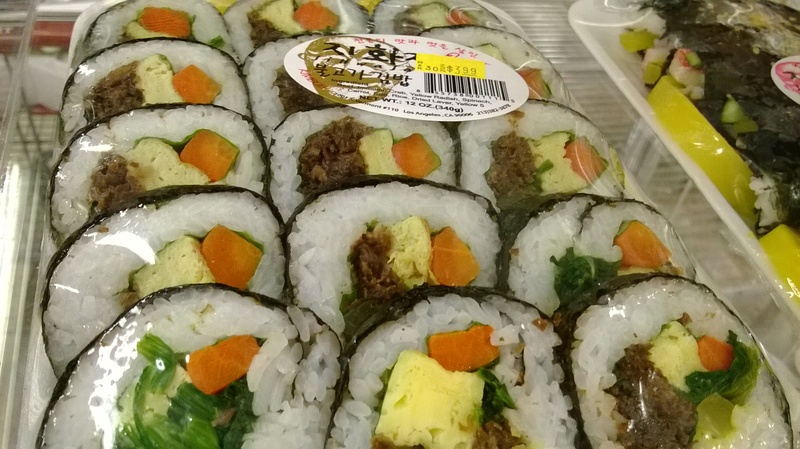 I usually opt for the Beef Gimbap with egg, spinach, pickled radish. 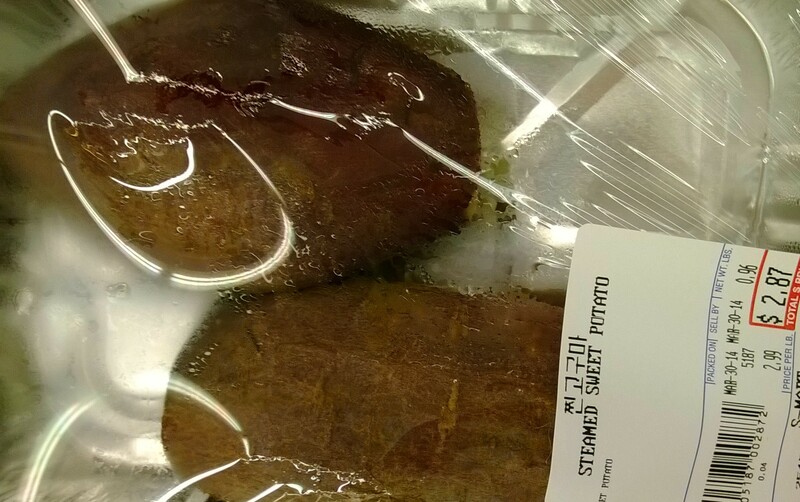 On occasions, I would get the steamed sweet potato, but they are a bit pricey. I have found that after a certain time in the evening, some of these prepared food would be half off the original price which would then be really good deals. 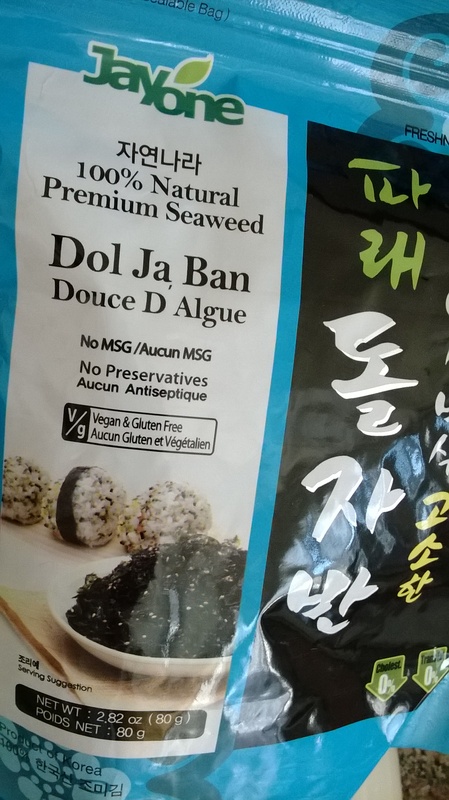 I also bought a package of dried seaweed flakes which was on sale for $1.99. I like to sprinkle these flakes onto my rice from time to time. I added some of the flakes to my rice cake, and for those brief moments, I was blissful and content. Hong Kong style cafes are some of my favorite places to go because these types of eatery offer so many varieties of food and interesting choices of beverages. And fortunately in Los Angeles, there is a good selection of these in the San Gabriel Valley area. Younique Cafe in Monterey Park is one that I visit from time to time. The restaurant is roomy and bright, with a relaxing and modern decor. There is ample spaces in between tables, and the booths are large and comfortable. 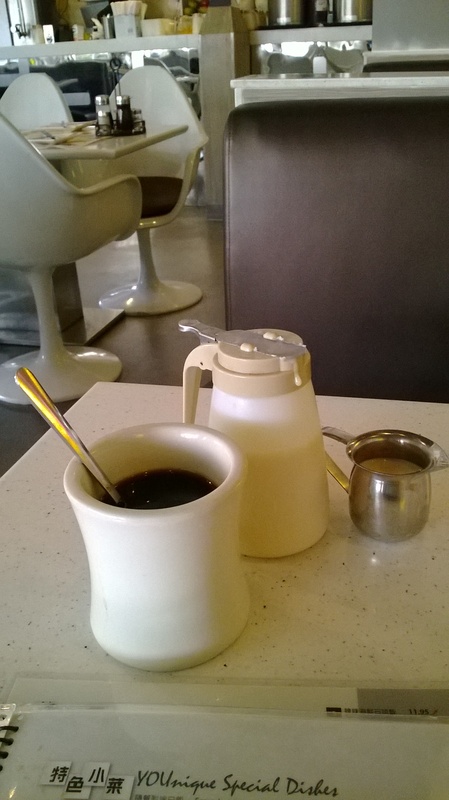 On this occasion, I ordered the coffee with English tea, with the containers of cream and condensed milk on the side. The brew was strong and potent, just what I wanted. I opted for the more traditional dishes for today. I really wanted lamb, so I ordered the Stir Fried Lamb in House Special Sauce, Taro and Pumpkin with Coconut Sauce in Clay Pot, and the Chinese Broccoli with Oyster Sauce. 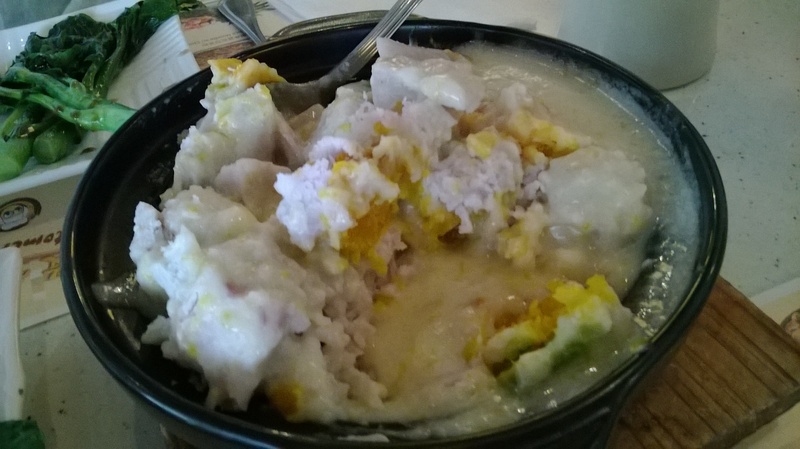 I really enjoyed the Taro and Pumpkin with Coconut Sauce, the taro and pumpkin were cooked really well, so they were lusciously soft. I just wish there were more pumpkin, the flavor was nicely sweet. 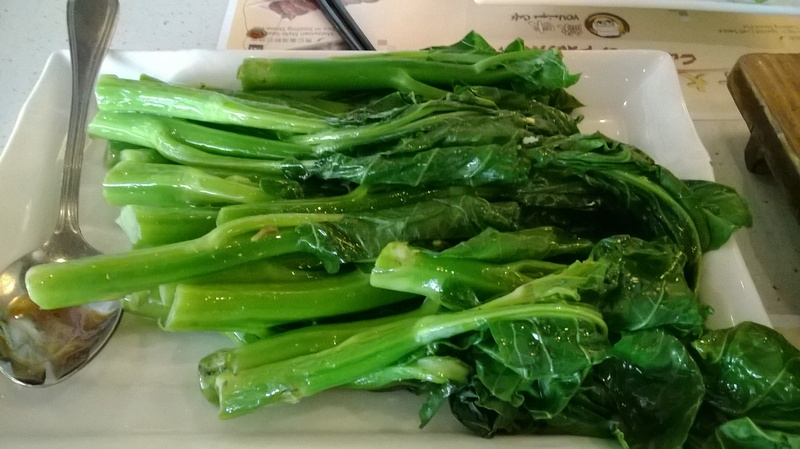 The Chinese broccoli were tender and fresh to the taste. I thought the Stir Fried Lamb was going to be spicy because there was a pepper logo next to the item on the menu, however, the actual dish was not spicy at all. 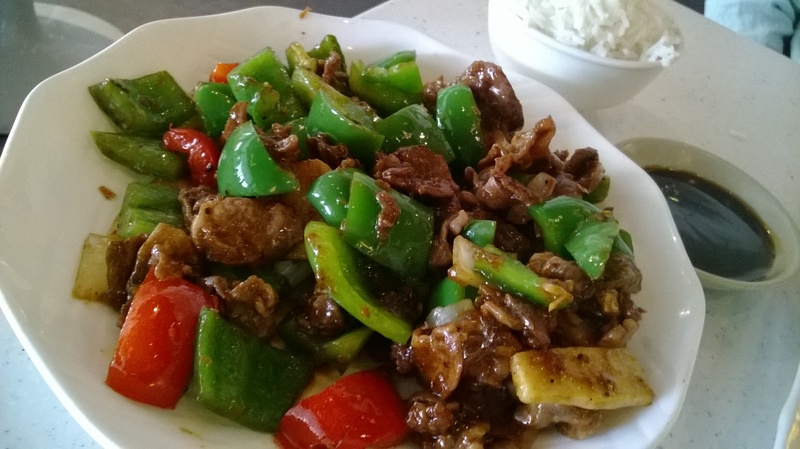 The meat was flavorful with tons of red and green peppers, which went extremely well with the rice on the side. I must had been really hungry, because after all that food, I was still not that full. I brought home an order of their Wonton and Beef Brisket Lo-Mien for my son, and he commented that it was really great, and that he especially liked the soft yet slightly crunchy texture of the thin noodles.